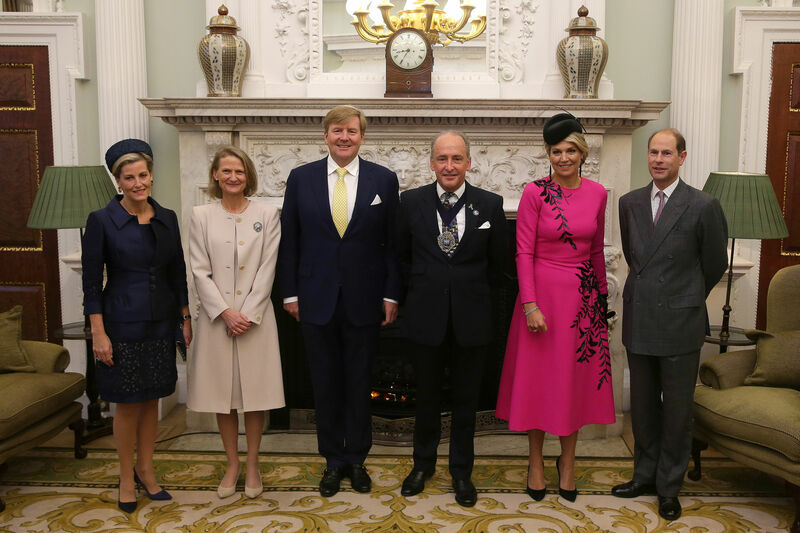 King Willem-Alexander and Queen Maxima of the Netherlands visited the UK from 23 to 24 October 2018. Their Majesties stayed at Buckingham Palace, as guests of Her Majesty The Queen. Today is the start of The Netherlands State Visit. 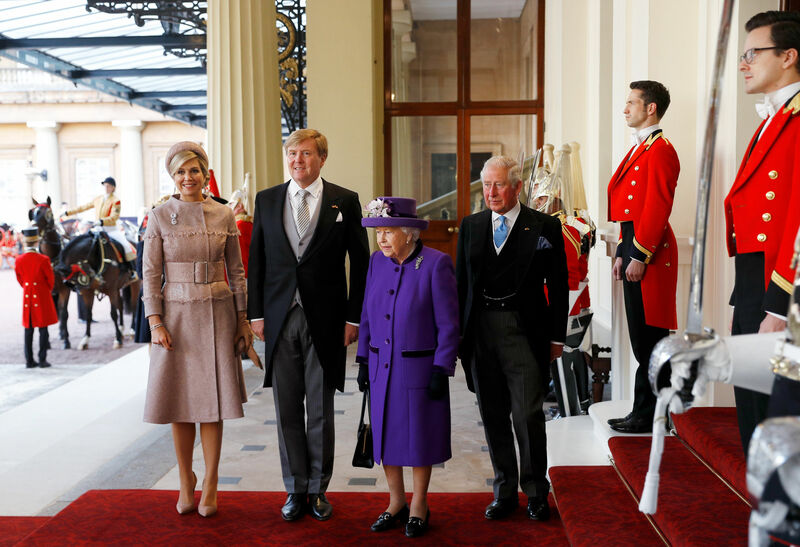 The King and Queen of the Netherlands were first welcomed by The Queen at the Royal Pavilion at Horse Guards in London. 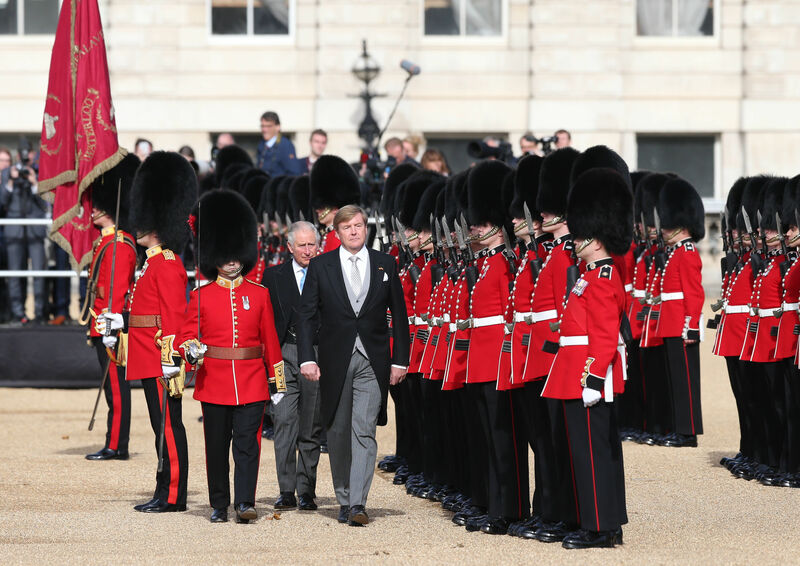 The Prince of Wales and King Willem-Alexander then inspected the Guard of Honour. 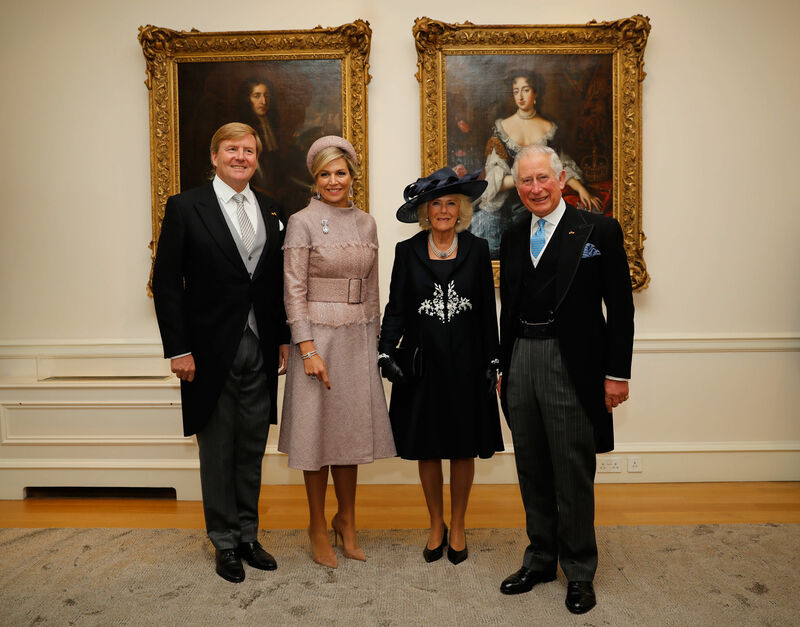 This morning, The Prince of Wales and The Duchess of Cornwall with King Willem-Alexander and Queen Maxima of the Netherlands, at the Dutch Ambassador's Residence in London. 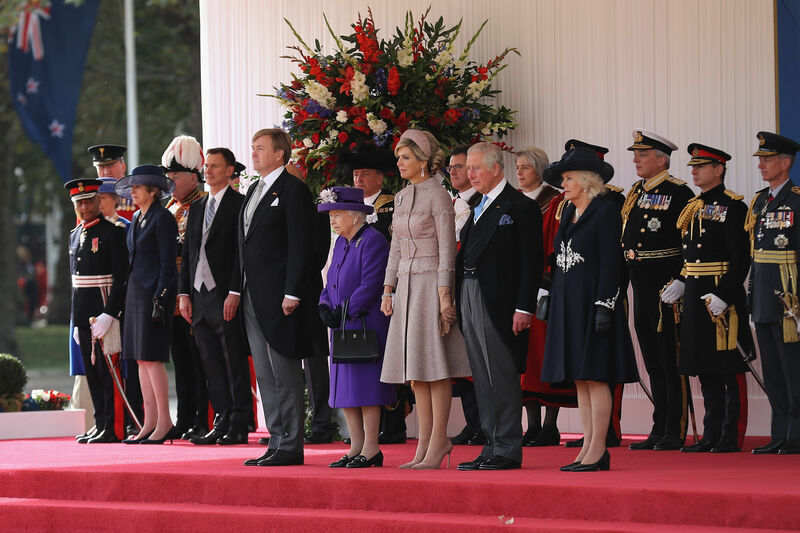 The Queen, The Prince of Wales and The Duchess of Cornwall and Their Majesties The King and Queen of the Netherlands then took part in a Carriage procession. This evening, Her Majesty will host a State Dinner at Buckingham Palace. 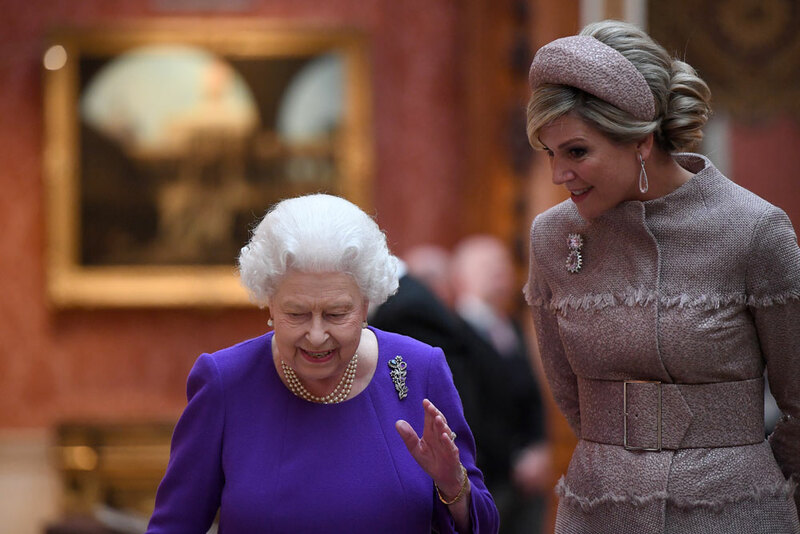 In the Picture Gallery at Buckingham Palace, The Queen shows King Willem-Alexander and Queen Maxima an exhibition that showcases Dutch related items in the Royal Collection. The Prince of Wales, The Duchess of Cornwall, The Countess of Wessex and The Duke and Duchess of Gloucester also joined Her Majesty and The King and Queen in Picture Gallery at Buckingham Palace. You can find out more about the exhibition on The Royal Collection. 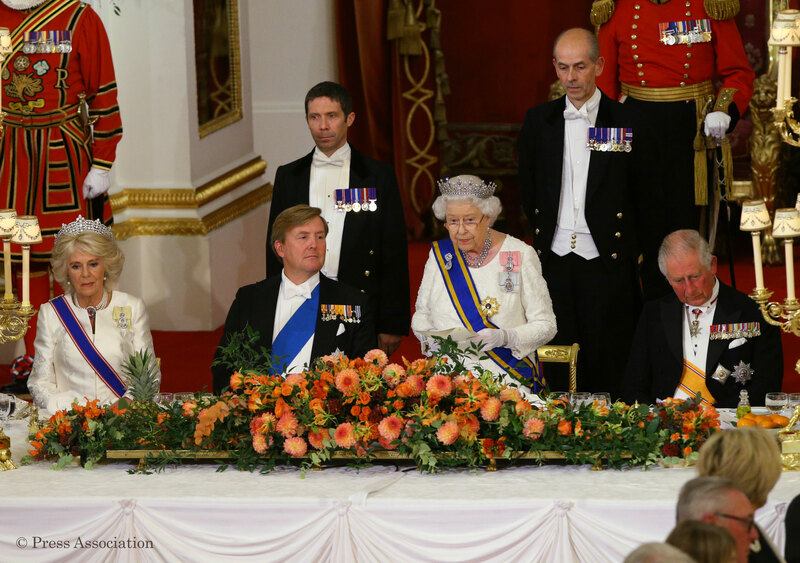 This evening, The Queen hosted a State Banquet at Buckingham Palace for The King and Queen of The Netherlands. Other Members of The Royal Family accompanied The Queen at this evening’s State Banquet including, The Prince of Wales and The Duchess of Cornwall and The Duke and Duchess of Cambridge. The Princess Royal and Vice Admiral Sir Timothy Laurence, The Earl and Countess of Wessex, The Duke and Duchess of Gloucester, The Duke of Kent and Princess Michael of Kent also attended. Before the banquet, The Queen made a speech. Over the many hundreds of years of our shared history, there are few nations who are able to claim a closer bond. 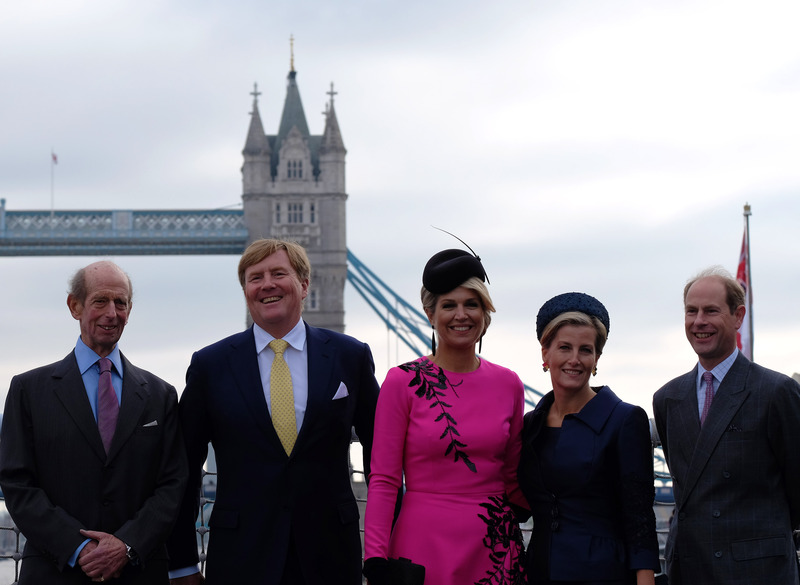 Tomorrow The King and Queen of The Netherlands will accompany The Earl and Countess of Wessex and The Duke of Kent on a series of engagements around London.Follow @RoyalFamily on Twitter for live updates of today's activities. More about State Visits here. The Earl and Countess of Wessex attended several engagements with Their Majesties – starting with a breakfast at Mansion House given by the Lord Mayor and the City of London Corporation. 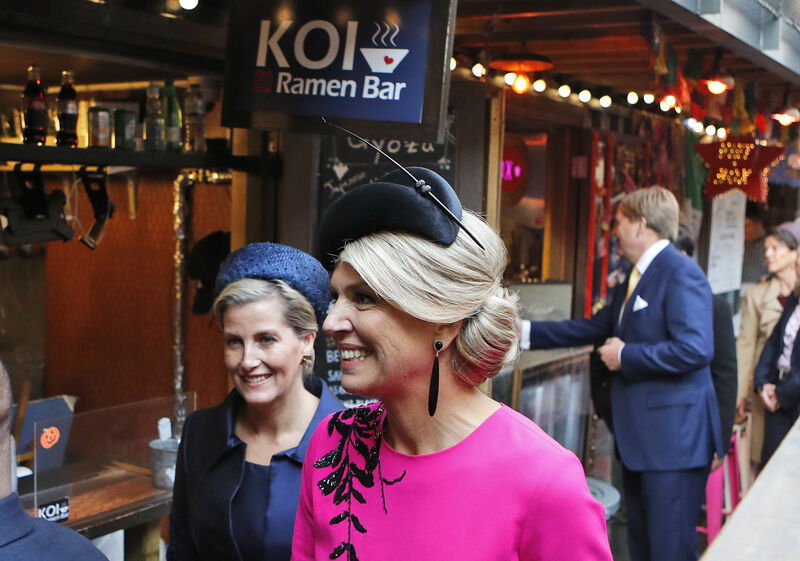 After the breakfast, Their Majesties and The Earl and The Countess then saw an exhibition of innovative businesses from both countries. 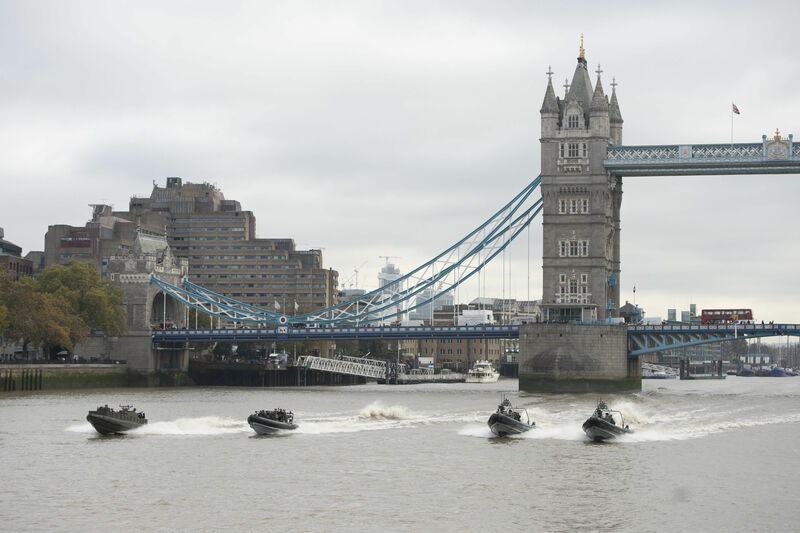 Later, The Duke of Kent met The Earl and The Countess and Their Majesties on board HMS Belfast on the Thames, where they were introduced to veteran groups from WWII and more recent campaigns and saw how the UK-Netherland forces are working together. 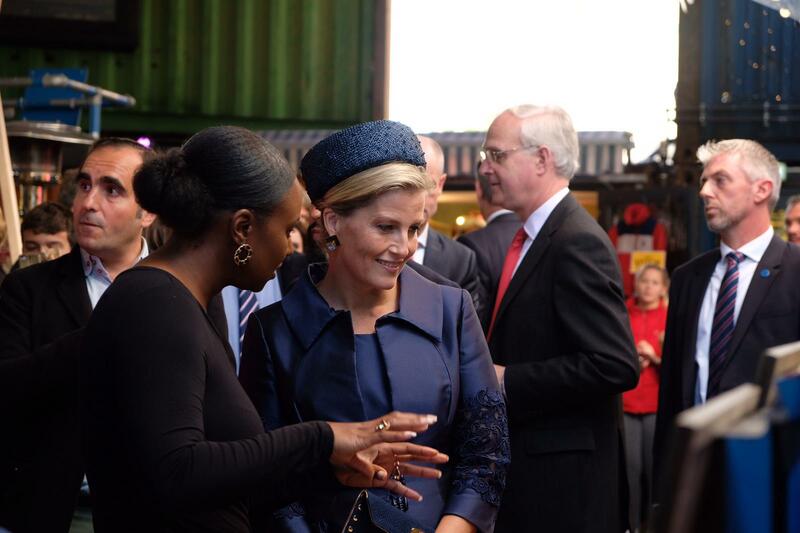 Afterwards, King Willem-Alexander, Queen Maxima, The Earl and Countess visited Pop Brixton in South London. Their Majesties and Their Royal Highnesses met social entrepreneurs and artists exhibiting at the space. 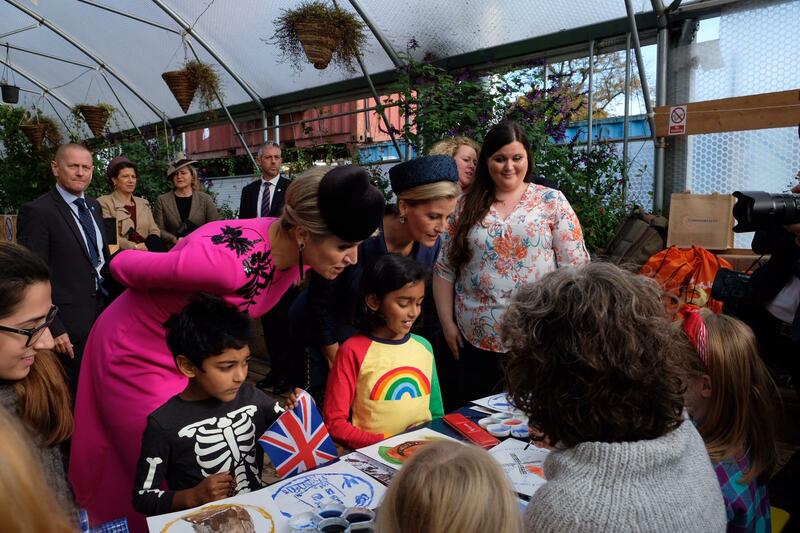 Queen Maxima and The Countess also saw local school children taken part in an art class at Pop Brixton. The King and Queen of the Netherlands then returned to Buckingham Palace, where they bid farewell to The Queen. The Royal Kitchens at Buckingham Palace have been busily preparing for the State Banquet tonight. 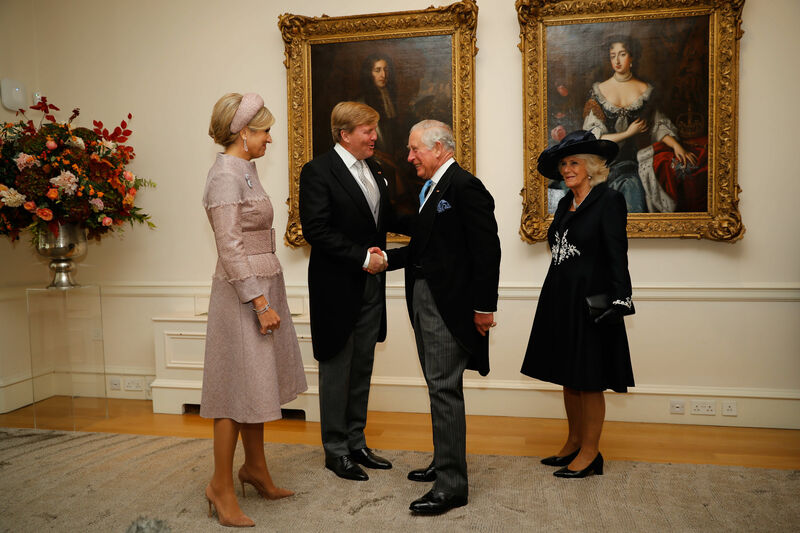 King Willem-Alexander and Queen Maxima of the Netherlands will be hosted at a State Banquet, a formal occasion held in the Buckingham Palace Ballroom. The Royal Pastry Chefs have created a ‘Torte au Chocolat Amer et Madarines Crème au Café,' especially for the occasion. 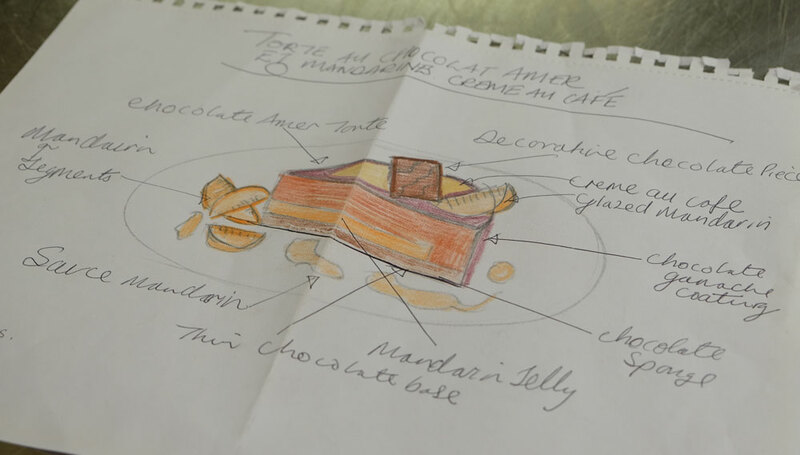 Pastry Chef Selwyn Stoby revealed some of the early stages of the torte design. The creme au cafe features different layers of flavours including a thin chocolate base, a chocolate sponge, and a rich filling of orange chocolate mousse. Selwyn and his team then layered a ribbon of vibrant marmalade on top of the mousse. Every part of the torte has been produced in the Kitchens of Buckingham Palace, by Selwyn and three other Royal Household pastry chefs. 'I first created a marmalade with the mandarins and gently folded it into the chocolate mousse,’ said Selwyn. Selwyn says the infusion of mandarins was a nod to the visiting Dutch Monarchy. The Dutch Royal house is called Oranje-Nassau. This name and association dates back at least to William the Silent (William of Orange) who founded the house in 1544. 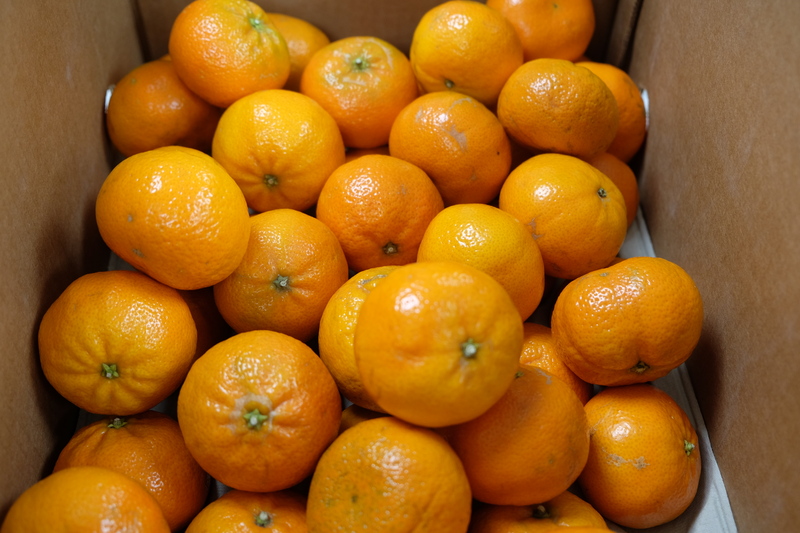 Each mandarin segment has to be blanched before the skin is carefully taken off. 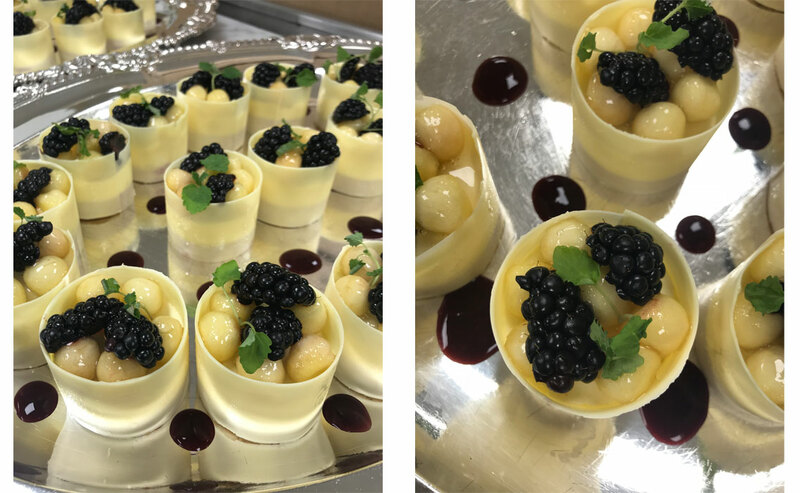 Each slice of torte will be adorned with a decorative chocolate piece and a crème au café glazed mandarin, before being served to guests of Her Majesty, The Queen at the State Banquet. The pastry chefs made 28 tortes this weekend – with each torte enough to feed 10 people, there will be 280 slices served this evening. 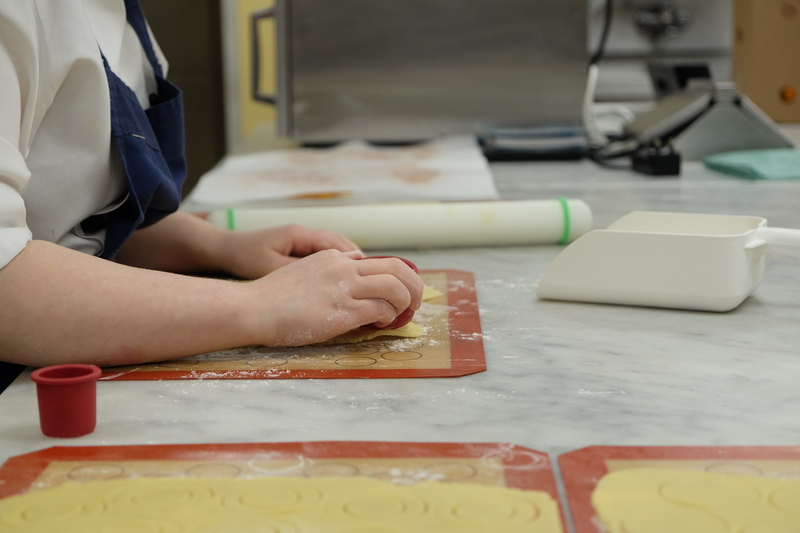 ‘It probably takes about 4 ½ hours to create each torte,’ say Selwyn. The tortes were then stored in the freezer pantry until the final decorations are carefully positioned – and the torte is served. 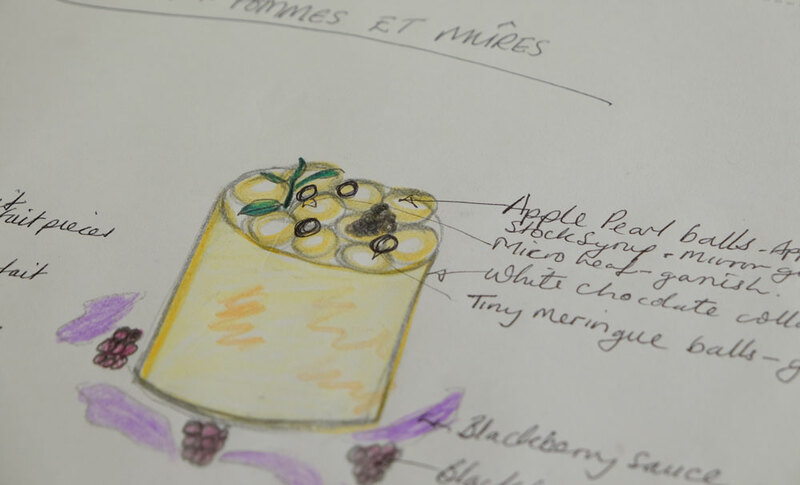 The design includes 'Apple pearl balls', miniature meringue balls and apple stock syrup. Each parfait is carefully cased in white chocolate to contrast to the bitter blackberry sauce. 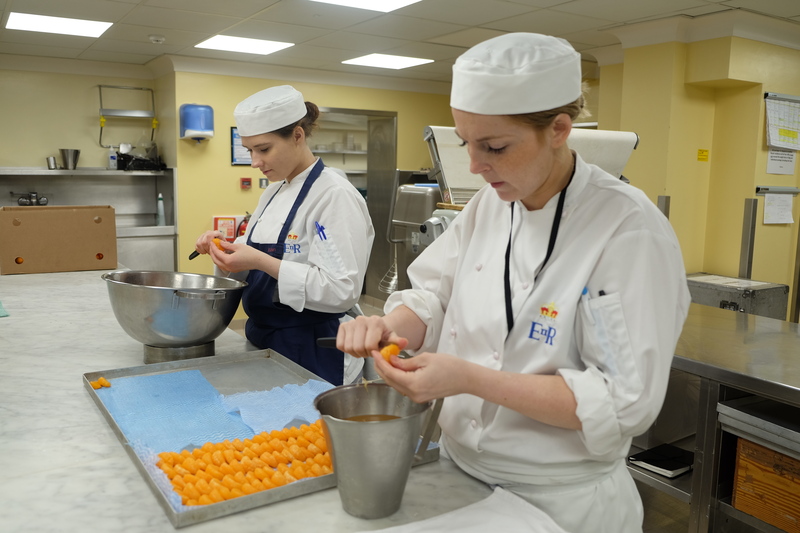 As well as creating these artisan desserts, The Royal Chefs also spent the morning preparing for The Queen's tea. 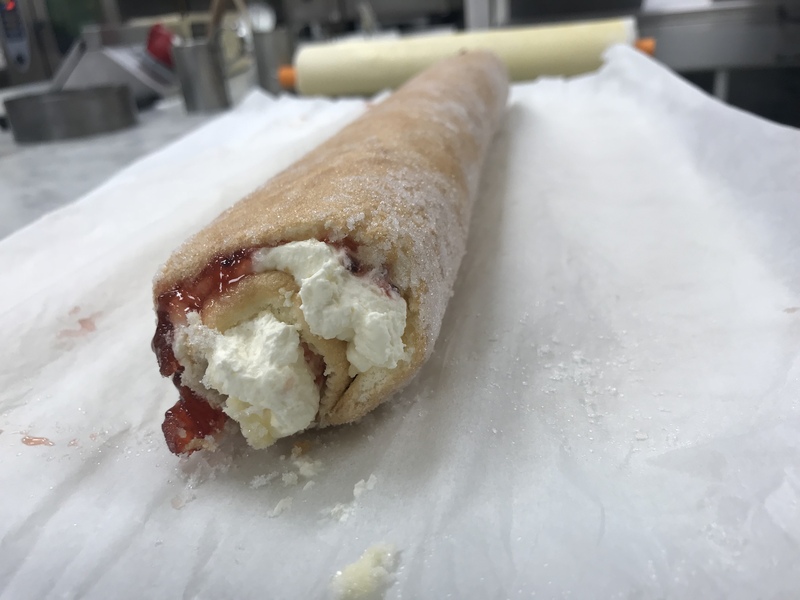 Freshly made scones and jam, as well as a roly-poly, were all handmade in the Royal Kitchens at Buckingham Palace. 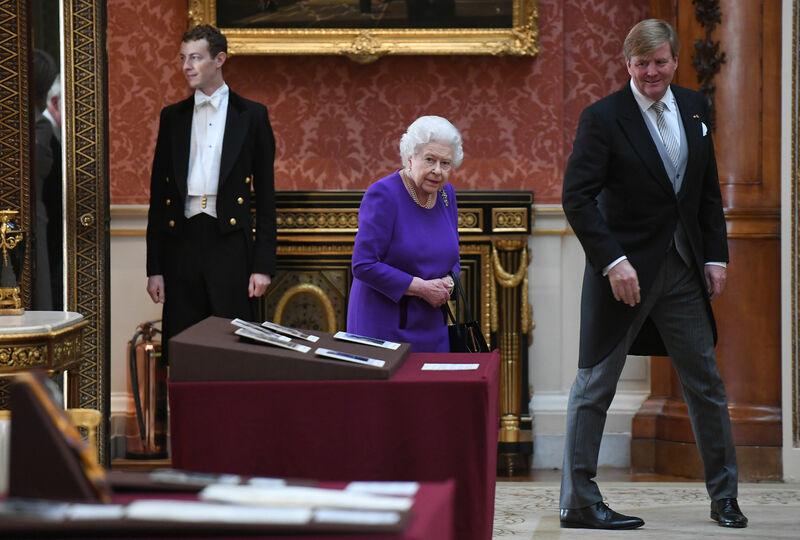 The Queen has hosted two previous State Visits from the Netherlands during her reign. 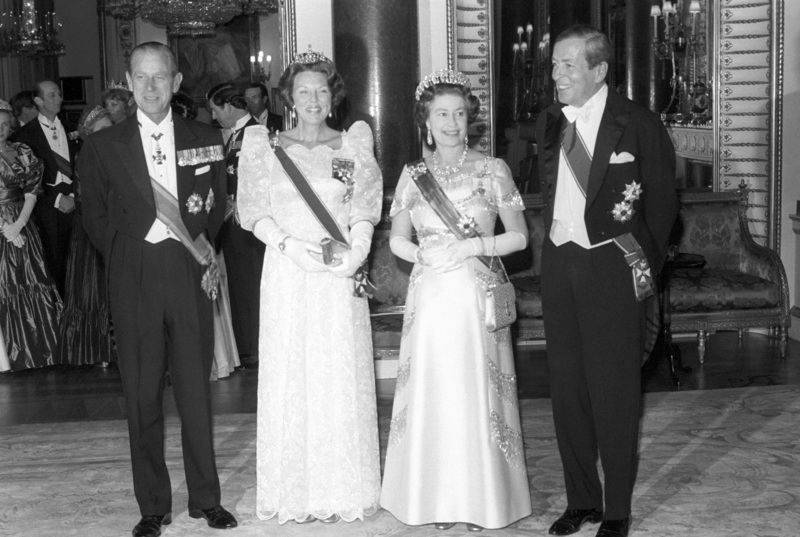 The last State Visit from the Netherlands was by Her Majesty Queen Beatrix and Prince Claus of the Netherlands in November 1982. In April 1972, Queen Juliana and Prince Bernhard paid a State Visit to the United Kingdom. 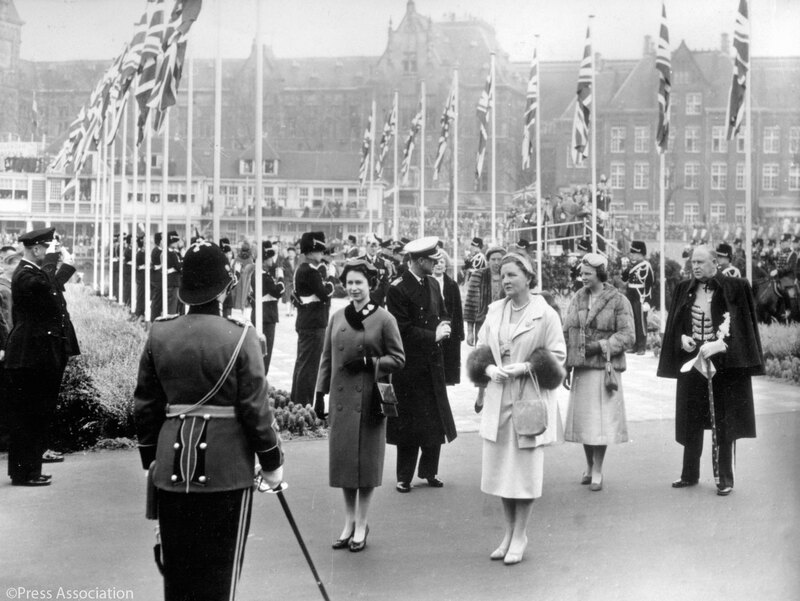 The Queen and The Duke of Edinburgh paid a State Visit to Queen Juliana and Prince Bernhard of the Netherlands in March 1958. 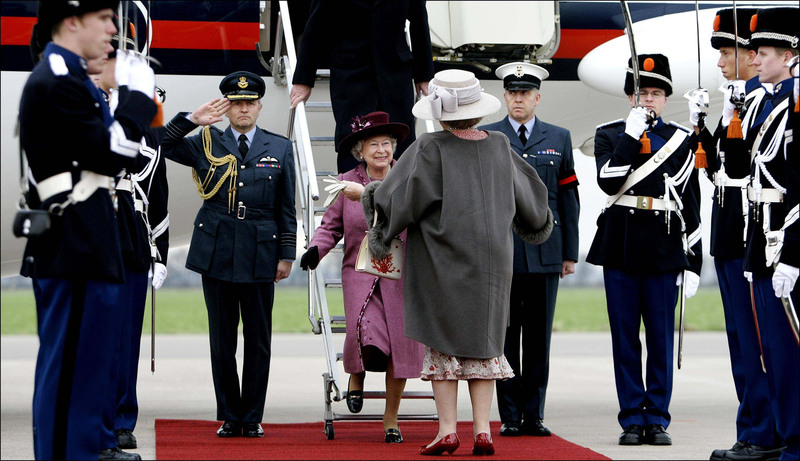 More recently, The Queen visited The Netherlands in 2007. 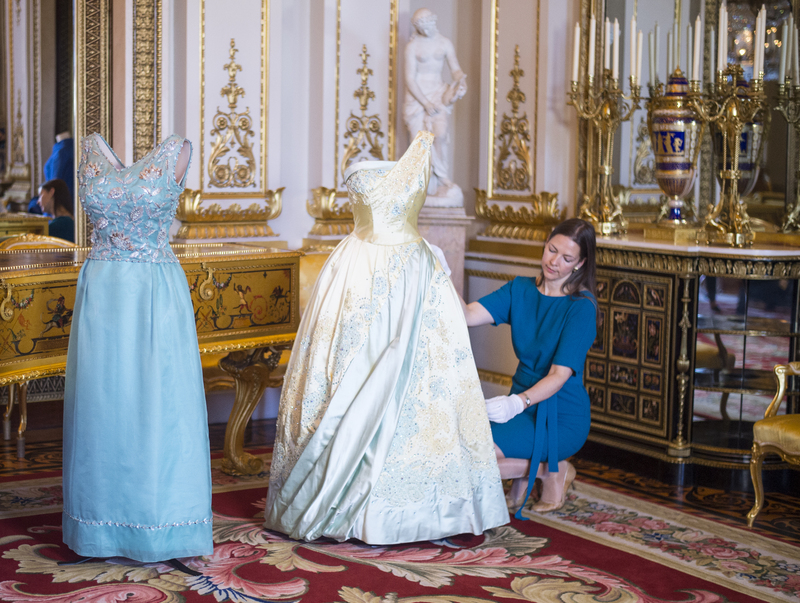 In the centre of the photograph below is a pale blue and gold evening dress by Sir Norman Hartnell, which was worn by The Queen on a State Visit to The Netherlands in 1958. Read about past State Visits here. 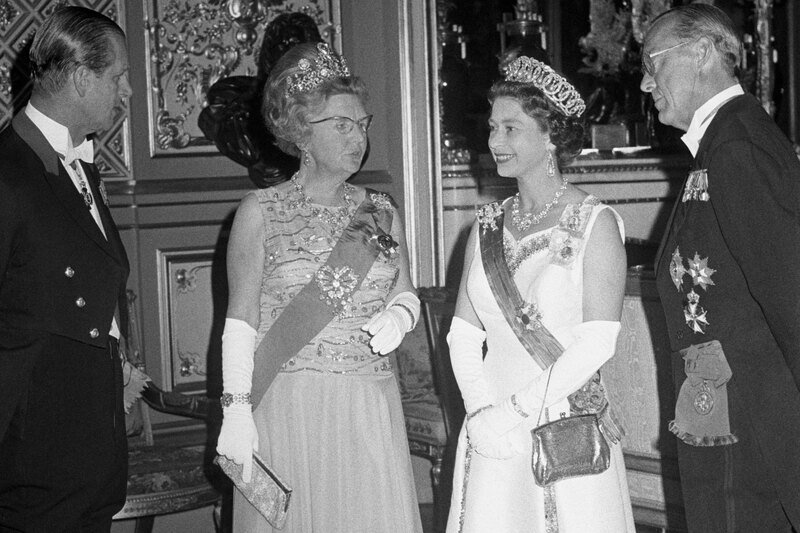 The Queen made a speech during the State Banquet, held in the Buckingham Palace's Ballroom.